Wedding Gifts that reflect romance, femininity and love! Here at ROMANTIC BRIDAL DESIGN we strive to give you a flawless experience with the best selection and prices anywhere. Every little girl dreams of a fairy tale wedding, that is why I am excited to help you have the wedding you dream of. As the owner and designer behind Unity Braids I am able to work with brides to ensure their wedding day is nothing short of magical. Our signature line of products is our Unity Braids. 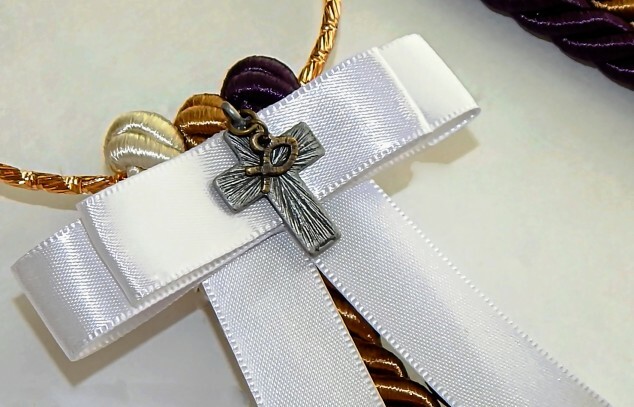 Also known as Unity cords or Cord of Three Strands, these handcrafted accessories allow you to personalize your wedding ceremony with a symbol rich in heritage. A traditional Unity Braid represents the joining of God, Husband and Wife, whereas other offerings mimic various traditions of binding man and wife together as one soul. Our Unity Braids are made with only the highest quality components and to the specifications of each bride. We can promise you will never find Unity Braids quite like ours anywhere in the world. In addition to our diverse line of Unity Braids, we are also proud to offer a wide variety of bridal accessories, jewelry and gifts. Each item is created with love and must pass my extremely high standards. I believe in offering items that are of only the highest quality and I take personal pride in ensuring each product passed my strict quality assurance tests before it is sent to you. I would now like to invite you to browse through my online store and see if you can find something that represents your love and your wedding. I want to personally thank you for taking the time to shop with our small business and for shopping handmade!